007293624X –Understanding Post-Tonal Music explores the compositional and musical processes of twentieth-century post-tonal music. The book is intended for undergraduate or general graduate courses on the theory and analysis of twentieth-century music. The aim of the book is to increase the accessibility of post-tonal music by providing students with tools for understanding issues like pitch organization, rhythm and meter, form, texture, and aesthetics. 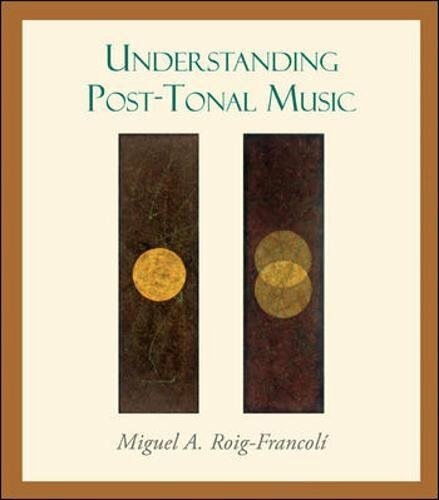 By presenting the music first and then deriving the theory, Understanding Post-Tonal Music leads students to greater understanding and appreciation of this challenging and important repertoire.